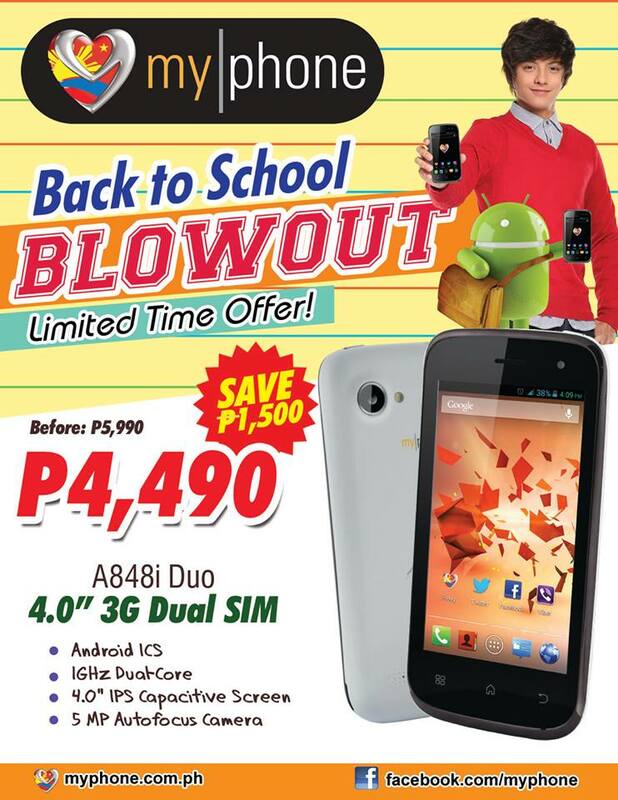 MyPhone is now having Back to School Blowout on their MyPhone A848i starting May 17, 2013 nationwide. 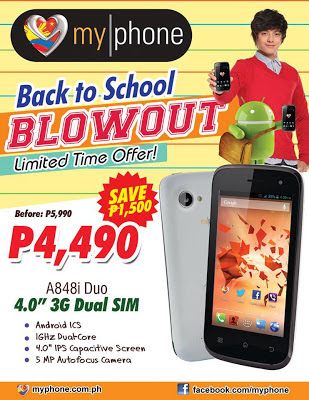 Android phone lovers can get MyPhone A848i for only P 4, 490. You can save P1, 500 from its suggested retail price of P 5,990. MyPhone A848i runs on Android Ice Cream Sandwich with 1GHZ Dual Core. It also features 4.0 IPS Capacitive screen, Dual Sim, WIFI, 3G capable, 5mp autofocus camera and other competitive specs. For more information, blog and review on MyPhone A848i, check out MyPhone website and their Facebook page or visit MyPhone stores, kiosks, and accredited dealers nationwide. Cherry Mobile Burst Sale for only 3,499!